Colorado Peak Politics | COVER UP (AGAIN)? Did House Democratic Leadership Conceal Jovan Melton’s Violent Past? COVER UP (AGAIN)? Did House Democratic Leadership Conceal Jovan Melton’s Violent Past? 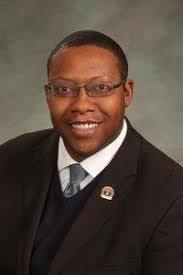 Right before the Thanksgiving holiday (so you might have missed it), the Aurora Sentinel shared a very revealing article detailing Rep. Jovan Melton’s efforts to push through his #metoo baggage. But the article also revealed something else – again, cover-up attempts by the Democratic leadership in the Colorado State House to cover up alleged mistreatment of women. Say what? Democratic leadership was more interested in light rail tickets than alleged violence against women? That didn’t concern them at all? For the record, the “them” that we’re talking about here is now-executive director of ProgressNow Colorado, Ian Silverii, who at the time was serving as director of the House Majority Project, and then-Speaker Dickie Lee Hullinghorst. Did the head of ProgressNow, who takes to Twitter to screech Democratic talking points about how women are victims of everything, cover up Melton’s mistreatment of women? And here’s the other issue. Melton responded to the allegations against him by basically stating that it was all a misunderstanding and that police found no evidence of wrongdoing. Yet, he still received more coverage for his alleged indiscretions than Governor-elect Jared Polis. Maybe that’s the difference in the media coverage, too. Polis has a team of lawyers at the ready to quash any suggestion of wrongdoing. For Melton, he gets the same treatment that we all do. On second thought, Ian Silverii would never cover up alleged domestic violence abuses for the average man.